We are a leading Exporter of ceftricare 200 (cefixime 200 mg dispersible tablets), ceftricare 200, cvmed 625 (amoxicillin and clavulanate tablets), abiraterone acetate tablets. (cancer medicines, tb medicines, tumour & chemotherapy drugs and medicin, exemestane tablet and cyclosporine capsules from Navi Mumbai, India. 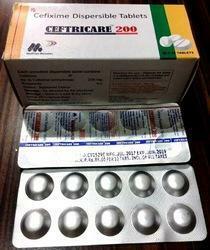 Ceftricare 200DT (Cefixime Tablet) is used in the treatment of bacterial infection. It is used for short-term treatment of bacterial infections of urinary tract, skin and soft-tissue, ear, bone, blood, abdomen, genital and lungs (pneumonia). It is also used to prevent infections after surgery. How cefixime work: Ceftricare 200DT (Cefixime) is an antibiotic. It works by preventing the formation of the bacterial protective covering which is essential for the survival of bacteria in the human body. Composition we are able to offer a superior quality range of Amoxyclavunate. Active Ingredient we are able to offer a superior quality range of Amoxyclavunate. Salt Used we are able to offer a superior quality range of Amoxyclavunate. Type of Medicine we are able to offer a superior quality range of Amoxyclavunate. Ingredient we are able to offer a superior quality range of Amoxyclavunate. 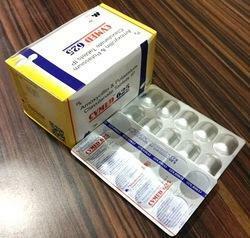 we offer a superior quality range of Amoxyclavunate. 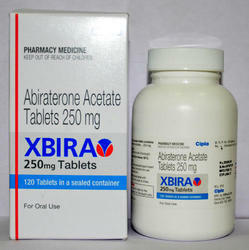 Abiraterone Acetate Tablets is a hormone therapy drug. It is a treatment for prostate cancer that has spread to other parts of your body. You might have abiraterone if other hormone treatments are no longer working and you have no or mild symptoms but you don't need chemotherapy. Exemestane Tablet is used to treat breast cancer in postmenopausal women. The drug lowers estrogen levels in postmenopausal women, which can fight certain types of breast tumors that require estrogen to grow. It is often given to women whose cancer has progressed even after taking other anti-cancer drugs. 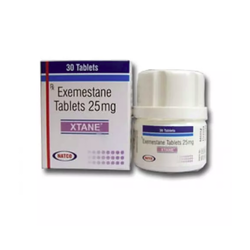 Note : Xtane is a prescription drug and should be used under proper medical guidance and advice. Do not share the medicine with others, since they may be suffering from a problem that is not effectively treated by this drug. 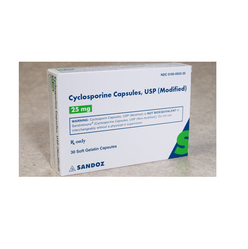 Cyclosporine Capsules is an immunosuppressive drug meaning it suppresses your body’s immune power. The immune system helps your body to guard against invading foreign bodies which can cause infections and illnesses thereby preventing common or dangerous diseases. The same immune system can be a disadvantage during an organ transplant as it will treat the organ to be implanted as a foreign body and your body will reject it (organ) completely from integrating. 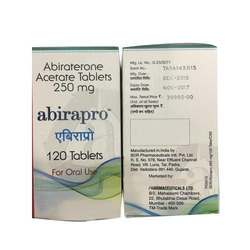 we are highly engaged in trading, exporting, importing, distributing and supplying a qualitative Abirapro Tablet for our esteemed clients. Our offered tablet is processed employing advanced technology and using premium quality chemical compounds at vendors’ end. In order to maintain the effectiveness, our quality examiners test this tablet on various parameters. Stops the body from making which can slow the growth of prostate cancer, customers can avail this tablet from us at budget-friendly prices. 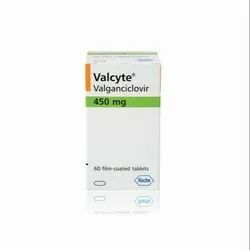 We are the leading supplier of Valgancyclovir Tablet made available to our clients at competitive prices. 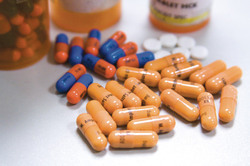 Antineoplastic Antibiotic is used alone or in combination with other medicines in the treatment of various cancers, like breast cancer, small cell lung cancer, bladder cancer, advanced ovarian carcinoma, advanced connective tissue sarcoma, advanced multiple myeloma, acute lymphatic leukemia, acute myeloblastic leukemia, advanced papillary/follicular thyroid cancer, anaplastic thyroid cancer. 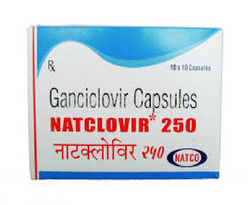 Natclovir is an antiviral drug. It slows the growth and spread of the cytomegalovirus. Infection occurs in patients who have suppressed immune systems such as patients with AIDS and organ transplant patients. Serious side effects affecting the blood have been reported. Decreased levels of blood cells have occurred. Looking for Phamaceutical Tablets ?